For those with less time available, a 7 night stay still offers the opportunity to visit some of Cyprus' best attractions. This shorter itinerary gives a flavour of Paphos, Limassol and Nicosia and is certain to whet the appetite. Upon arrival at Paphos Airport, collect your hire car and transfer to the Axiothea Hotel. Sunvil has featured this traditional, family run hotel since 1974. It is located in the older part of Paphos and approximately 3 km from the sea. The hotel's elevated position boasts panoramic views across the whole of Kato Paphos to the sea and harbour. 2 nights in Paphos at the family run Axiothea Hotel, a hotel which Sunvil has featured since 1970, allows just enough time to view the Paphos Mosaics, Tombs of the Kings and to people watch from the cafes and restaurants of the old harbour. 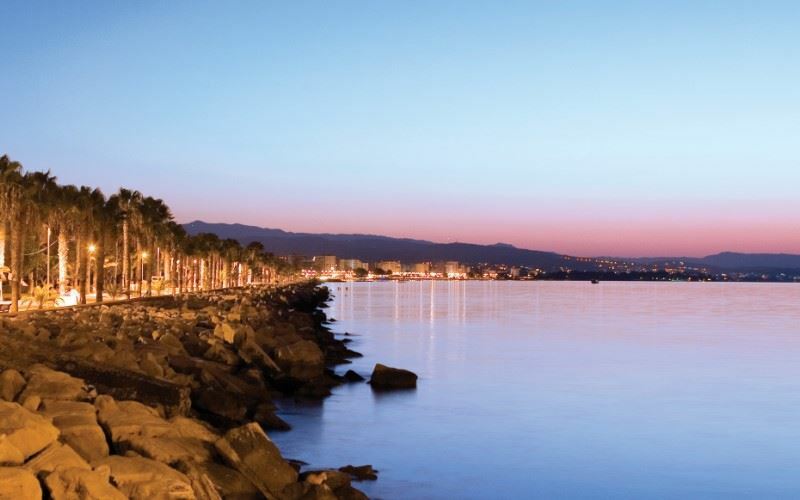 Enjoy 3 nights in Limassol at the 4-star family run Hotel Kapetanios Odysseia, for a taste of this vibrant city and the opportunity to wander around the lavish marina. Take the time to walk and eat in the old harbour area and stroll along the long seafront promenade. Overnight at the Hotel Kapetanios Odysseia, Limassol Town. Spend two nights in Nicosia at the Classic Hotel within the beautiful old walled town. This really is an ideal base from which to wander round the old town, and to enjoy its many restaurants and cafes and to visit the Cyprus Historical Museum. Overnight at the Classic Hotel, Nicosia Town. Return hire car to Paphos or Larnaca Airport ready for your flight back to the UK. Perfectly located within the old city of Nicosia, The Classic Hotel has recently been re-designed and is the perfect base from which to roam the old quarter with its retaurants, cafes and museums. Perfectly located within the old city of Nicosia, The Classic Hotel has recently been re-designed and is the perfect base from which to roam the old quarter with its retaurants, cafes and museums. The hotel is smart, with modern furnishings, wooden floors and light colours. The old city of Nicosia has undergone quite a revival in the last ten years and a brief stay in the Capital is a must. This is a very well managed boutique hotel in a unique location. Accommodation: 57 Standard Classic, Executive Classic and Family Classic rooms, with free high speed wifi, air conditioning, working desk, safe deposit box, 32" tv, hair dryer, mini bar, bathrooms mostly with shower, some with bath. Executive rooms are larger, with working desk and free tea and coffee making facilities. The family rooms consist of two interconnecting standard classic rooms. Facilities: 59 knives a la carte restaurant with theme nights, Blue Wine bar and lounge, cafe lounge and gym with sauna on the top floor of the hotel. There is now a newly designed and very professional health and beauty centre. Amenities: within walking distance of markets, shops, museums, ancient churches, arts and cultural centres.